18a. [Deep-fried side dish], ONION RINGS. 26a. [Metaphor for straightness], LASER BEAM. 65a. [Java joints], COFFEE BARS. Uneven bars or parallel bars (math note: the uneven bars are also parallel to each other). 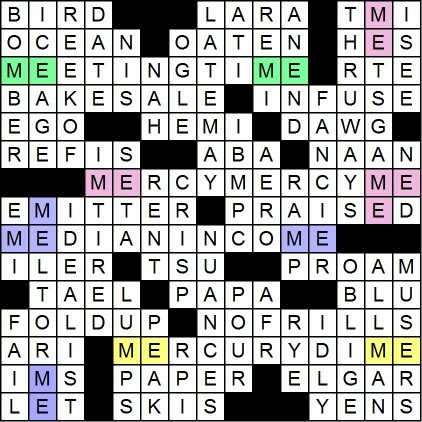 This is a lovely, crisp theme I don’t recall seeing before, and it’s worth the grid expansion to accommodate the 16-letter central answer (itself lively fill) that ties everything together. LARYNGITIS (which afflicted ACPT finalist Howard Barkin at the weekend’s start) and TORTELLINI are great chunks of fill. I like ASSUAGE, a testy “NOW WHAT?,” and one-vowel PSALMS too. Less fond of SAE and ELLS, but overall the fill is solidly in the Tuesday mode. The toughest fill perhaps is 71a. [Broadway composer Jule] STYNE. 4.25 stars from me. Over and out—time to catch up on sleep after ACPT weekend! 16A. MEETING TIME [Appointment calendar datum]. 10D. METS GAME [Sports event at Citi Field]. 61A. MERCURY DIME [Ten-cent piece associated with a Roman god]. While some of the themers feel more functional (median income, meeting time…) than fun (everything else), the puzzle as a whole is solid and has more than enough colorful fill and cluing to keep me smilin’. Plus this, perhaps, serendipitous bonus right there in the NW corner. In a puzzle that references the state of Maine, how perfect to find a BIRD over the OCEAN, right? And in any puzzle, it’s a pleasure to encounter an [Event for folks looking for a sweet deal?] or BAKE SALE. (That might be the place to pick up a fresh, homemade CRISP [Apple dessertwith a crumbly topping].) I also loved seeing IDEALIST poetically clued as [Star gazer]; and both FANCIER [More chichi] and its [Bare-bones…] NO-FRILLS opposite. NUANCES, “I’M TIRED,” ICE AGE, PRAISED, INFUSE, and even LATE MAY with its nod to the unofficial start-of-summer—welcome fill all. The full clue for no-frills is [Bare-bones, like airline travel], which (as I read it) links to [Light airplane material] for PAPER. I mean, airplane material doesn’t get any lighter than that, does it? 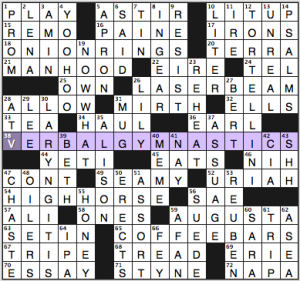 But that paper also links to what is my fave clue/fill combo today: [Close an origami business?] and FOLD UP. That’s as good as it gets! There are some other fine and/or tricky combos [Cross-country runners?] SKIS, [Top of the heap? 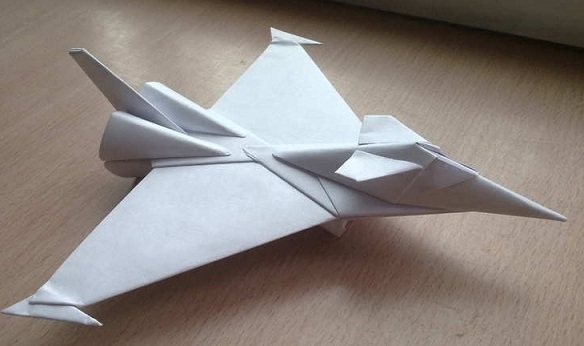 ]PEAK, [Slangy ending for liter or glitter] ATI (the pronunciation issue makes this one fun)… but I love getting from a no-frills airplane, to a paper airplane, to a fold-up origami airplane, and then to one that looks remarkably like a BOMBER to boot! Biggest mystery of the day (although I really didn’t see it until I went to write up this post, because it fell into place through the crosses) was NIS [Third largest city in Serbia]. Back to geography class for me! It was the birthplace of Constantine the Great, but otherwise there was little in this write-up that rang any bells for me. 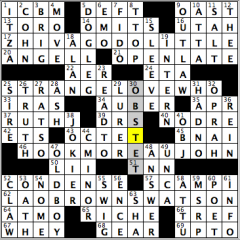 Still, that reflects more on my knowledge base than on its being legitimate crossword fill! So that’s it for today. Strong, really well-executed theme amidst fresh, playful clues and fill. More, please! This themeless is a mixed bag. It’s in interesting-looking 66-word grid (though the 4×7 corners are rather cut off from the rest), there’s some real sparkle, and there are some real clunkers. The goods: BINGE-WATCH, LAUNCH CODE (which had a clue I liked: [Protected sequence in some spy movies]), and ESTATE CARS stack crossing “I ASK YOU” and NUTELLA. BACKWARDS R clued informatively as [Russian letter that makes the “ya” sound] rather than as part of Korn or Toys “R” Us’s names. “I’LL BE THERE,” song title, near SLICK RICK of old rap. A WEE BIT. 25a. [Harkness ___ Mansion (part of Harkness Memorial State Park in Waterford, CT)], EOLIA. 39d. [Baroque violinist and composer Giuseppe], TORELLI. 41d. [World Series of Poker champ Mike, nicknamed “The Mouth”], MATUSOW. If you don’t know of the poisonous KRAIT or golfer JULI Inkster and you don’t follow poker, you might have been very unhappy in this corner. MATUSOW’s next to the obscure JITO ([Medieval Japanese land manager (hidden in MOJITOS)]), but at least that clue reveals the answer. KRAIT’s R also mandates that you know your Russian alphabet if you don’t know the snake—also a tough crossing. Junky fill helping to hold the other things together but bringing me down: SYL, ECT-, WHEN’D, awkward STAINER. 3.5 stars from me, with significant debits for the reliance on obscure names. This is another of those “one word in each phrase can precede or follow this key word” themes, but with a confusing revealer. 64a. [Figuratively, where some wild ideas come out of; literally, a hint to a word and its position when paired with the starts of the answers to starred clues] clues LEFT FIELD, and the word FIELD can precede (appear to the left of) the first word in each themer. People! 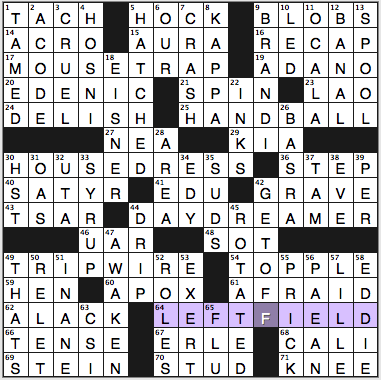 Don’t put the word “position” in a LEFT FIELD clue unless you want me to think there’s some baseball angle going on. 17a. [*Pest-control device], MOUSETRAP. Field mouse. 25a. [*Off-the-wall game? ], HANDBALL. Field hand. 30a. [*Simple garment], HOUSE DRESS (which of course goes great with “house shoes”). Fieldhouse. Let the record show that I have never owned a house dress. 44a. [*One given to flights of fancy], DAYDREAMER. Field day. 49a. [*Hidden explosives activator], TRIPWIRE. 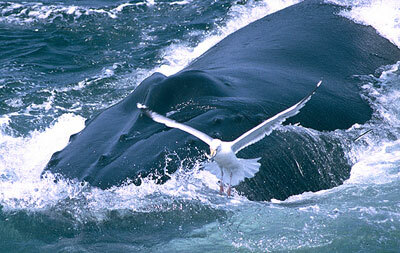 Field trip. Favorite fill: DELISH. The inclusion of six theme answers left less room for colorful fill, and the only 7s are both -ED verbs so they feel shorter and less interesting. I didn’t care for the northeast corners’s ADANO/LAO/OCALA combo and took a minute to replace that corner with BLOCS, ROBOT, ATARI, and MAL de mer (the worst bit, but overall I think my fill’s better than the original) crossing LOT, OBAMA, CORAL, and STILL. I poked around at the RELET/ALACK corner but didn’t find a quick and easy replacement. If this were my own puzzle, I would also have worked to avoid the HST/OAS/UTA chunk. 60a. [“__ o’ your throats”: “Measure for Measure”], A POX. Apparently the oft-quoted Romeo and Juliet line “A pox on both your houses” is actually “A plague ….” I love a good POX imprecation, though. 2d. [Words after “crack” or “live by”], A CODE. Awkward partial. “Crack the code,” “live by a code of honor,” I dunno. I feel like “crack a code” and “live by a code” aren’t natural language that we use that way much. 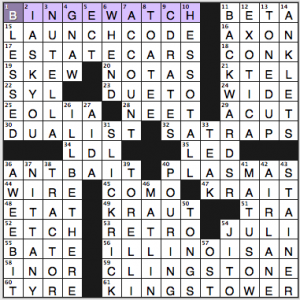 Theme’s okay, but the general theme type doesn’t excite me (and interestingly, the NYT plans to be publishing fewer such themes, so constructors: you’re on notice to make fewer of these puzzles) and some of the fill was suboptimal. 3.4 stars from me. Good day, everybody! I hope you’re doing well and, if you’re in the NYC area, staying dry, since it’s raining a little bit here. STRANGELOVE WHO (25A: [Two 39-Across]) – Would love to see Dr. Strangelove traveling in the TARDIS one of these episodes. RUTH J (37A: [Two 39-Across]) – Can Dr. Ruth dunk? LAO BROWN WATSON (62A: [Three 39-Across]) – All seven faces of Dr. Lao love Dr. Brown’s root beer. Dr. Watson prefers the cream soda. Here’s a surprise for those who know me: one of the biggest hang-ups I had was trying to get the Dr. in which the second part just consisted of one letter. After I put in RUTH, I wondered “what real or fictional doctor just goes by one letter?” Went through the letters, and once I got to J, I immediately wanted to bellow, “Oh, @#%#$, Dr. J, you sports-loving clod!” With all of the doctors shoehorned together, it was fitting that CONDENSE was also an entry (52A: [Shorten]). Had trouble slightly getting the middle letter in AUBER (34A: [19th-century French composer Daniel]), but OBSTET finally clicked in my head as the abbreviation (and its spelling), and that completed the grid for me (30D: [Science concerned with childbirth (abbr.)]). Wasn’t the biggest fan of JOKIER at all, but, given that, I’ll see if I can use that in a sentence to someone in the next couple of days (38D: [More likely to crack a good one]). “Sports will make you smarter” moment of the day: ANGELL (20A: [Baseball writer Roger]) – One of the great storytellers and essayists in sports journalism, Roger ANGELL has won many honors for his writing, with a lot of his work appearing in The New Yorker, where he was a contributor and editor. Angell was inducted into the writers’ wing of the Baseball Hall of Fame in 2014, as he was awarded the J.G. Taylor Spink Award by the Baseball Writers’ Association of America (BBWAA) in December of 2013. This entry was posted in Daily Puzzles and tagged Alan Arbesfeld, Elizabeth C. Gorski, Gary Cee, Jerry Edelstein, Matt Jones. Bookmark the permalink. The only pictures I’ve seen from the tournament are the ones on the ACPT Web site. Since they’re not captioned, it’s impossible to recognize who’s who (with a few exceptions). Are there any other sources for labeled photos? The years that Nancy Shack attends and takes a lot of pictures, she does work on identifying all the people in her photos. I don’t see captions for Don Christensen’s 2014 ACPT photos, though, so I don’t know if there are plans to add any. And Nancy didn’t go this year. Anyone in particular you want to see pictures of? I can point you to some (but I certainly don’t know the names of all the people in the pictures). Thanks, Amy. I can never remember which Nancy is which but, you’re right, Nancy Shack is the best at bringing the tournament to us all — with annotation. I didn’t have any one person in mind. It’s always fun to go through the pictures and say to oneself, “Oho, so that’s what’s she looks like.” Some of the faces, like the upper echelon of perpetual winners, are familiar to me. Others I may know, but need reminded by a caption as to who it is. Christensen presented a lot of images but no info. With all the social media available, I’m surprised there aren’t more sources. I liked today’s NYT a lot. I thought the theme was lots of fun, though it didn’t help me complete the puzzle, which I finished before examining the theme. The fill was enjoyable, with two exceptions. The first was the old-fashioned clue for CHASTE, “Unsullied,” though I see that as one of many definitions online. I thought “virginal” or some such word or phrase would be less judgmental and more accurate. The second annoyance is the second time in a week that I’m seeing “Classify” as a clue for ASSORT. True, this definition appears a lot online. Only a few online dictionaries, including the Oxford, and also including the first page I see when I Google “assort” (which may be from the Oxford), list it as archaic. Fowler in his usage handbook said not to use “assort” when meaning “classify,” because the word should be “sort.” Just think about it – “assorted” means mixed, with various sorts together, not separated. “Sort” is the word you want for “classify.” The trouble is that if this thinking is accepted, “assort” would be hard to use in a puzzle, because its other definition is a more narrow, scientific one. My Webster’s New World College Dictionary, 3rd edition (1988) classifies “assort” as both a transitive and an instransitive verb. Their transitive definition is “to sort or classify.” Their derivation reads [[OFr assorter < a- (L ad-) to + sorte, sort]] . 3 pure, decent, or modest in nature, behavior, etc. LAT: That has to be the most convoluted “revealer” in years. A pox on it. Thank you, Ade, for singling out Roger ANGELL in your report. For as long as I can remember, I’ve been a fan of his graceful prose about baseball in the New Yorker and assorted compilations. Yet arguably the most moving piece Angell has ever written appeared a little over a year ago. Check out This Old Man. The Jonesin’ puzzle was by FAR the most unsatisfying that I’ve ever encountered – I have finished every one unaided for the past 7 or 8 years, but this one, I couldn’t even complete it with Google at my disposal. What a bunch of uninteresting claptrap – all starting with 1A: shouldn’t “make it through the season intact” resolve to “getrenewed”, as opposed to the weak implication that those who watch a whole season of a show in one sitting don’t just up and fall apart? Yuk. I couldn’t agree more. I’m a fan of the Jonesin’ puzzle, and have been for a few years, but this one was not much fun. I usually like the quirky clues, but this one just had too many duds.